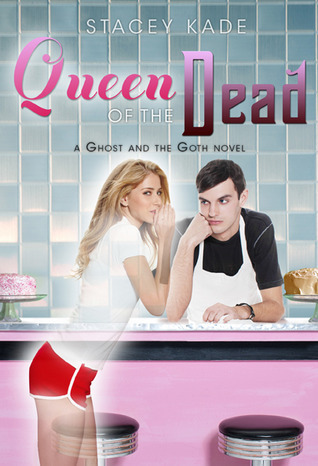 In this sequel to the Ghost and the Goth, Alona is still a ghost trying to find out why she was sent back from the light. Meanwhile, Will is approached by a strange organization that claims to free the world of spirits or ghosts. While Will is thrilled that he is not the only one with the gift of seeing ghosts, he is not sure he completely trusts the motivations of the organization. A girl named Mina has been trying to become a member of the group with little success and it is clear she is annoyed by how much they want Will to join. Alona does not trust Mina and is irritated that Will wants to learn more about her and this organization that she thinks works against ghosts instead of with them. In order to get Will’s attention Alona attempts a risky and dramatic plan that could land both of them in serious trouble. Can these two find out the truth behind the organization? Can they save themselves from the unexpected forces that want to tear them apart? This sequel was very well done. For a book with a light, funny premise it was unclear if there would be adequate plot developments for a sequel, but the story kept me interested throughout. Alona and Will’s characters and relationship have deepened and developed over the course of the story and teenagers will respond to them. While some of the plot points seemed a bit predictable it was not boring or repetitive in any way. Readers who follow the series will be curious to see what happens to these characters next.